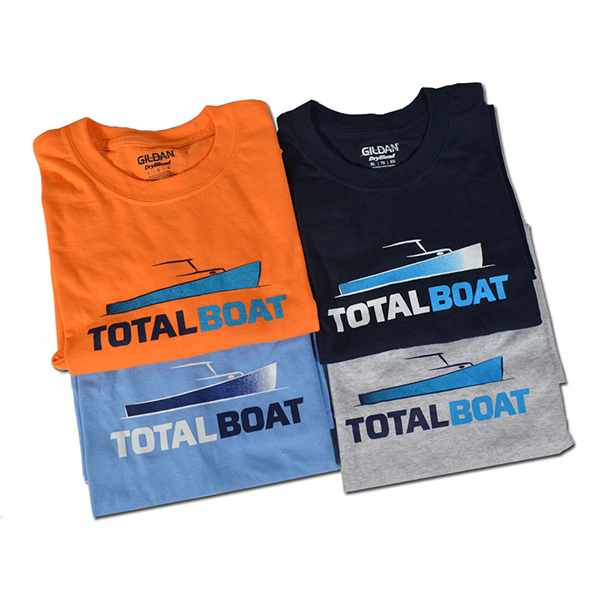 Comfortable, preshrunk cotton blend t-shirts feature classic crew neck styling and the TotalBoat logo screen-printed across the front. Moisture-wicking Dryblend fabric material helps keep you cool. Choose from Navy Blue, Carolina Blue, Ash Gray, and Orange.